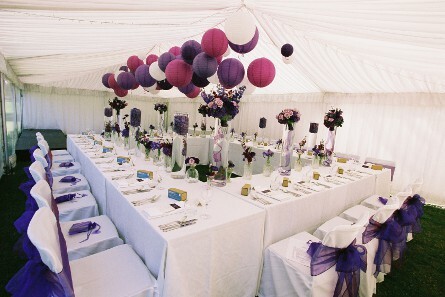 We are huge fans of The Hanging Lantern Company. 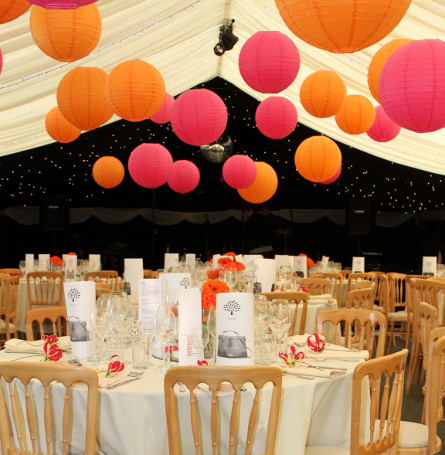 These fantastic lanterns completely transform spaces into something very special for weddings and parties and there is a brilliant range of colours and shapes to choose from. 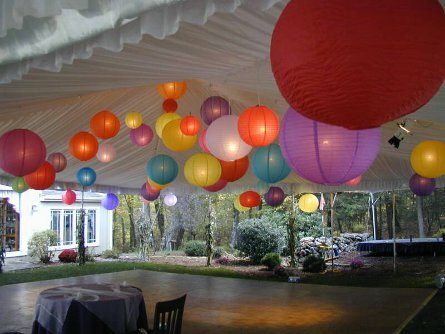 We are delighted to announce that we have now partnered with The Hanging Lantern Company to be able to offer a professional installation of lanterns and pom poms in the North Northumberland and Scottish Borders area. So, let us know what you would like, we’ll place the order for you and then get up our ladders and put them in place which will hopefully help keep your stressometer out of danger levels! There are so many wonderful colours and designs available. Let your imagination go wild combining oranges with magenta …. 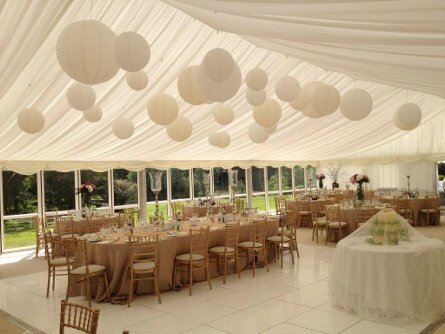 Or keep it elegant and simple with white …. 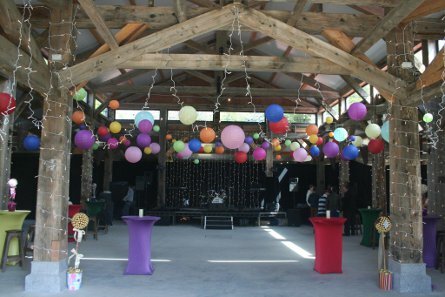 And whether it’s a barn …..
And you’re running out of time – get in touch and we’ll be delighted to help.